Jacqueline Wilson’s novels about “jigsaw” families were extremely popular with young teens but she has recently moved from contemporary to more historical settings. Susin Nielsen’s novel fills that gap very nicely with its lighthearted look at serious issues. 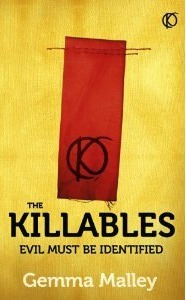 Narrated by nerdy, socially challenged Stewart and academically challenged, Queen Bee Ashley in short and snappy alternate chapters this story will appeal to young teens.Thirteen year old Stewart and fourteen year old Ashley are thrown together in a “blended” step family which Stewart imagines will be akin to paradise whereas Ashley expects the worst. It’s a predictable enough story with an unlikely hero saving the day but it has lots of humour and real heart which draws the reader in very quickly. I still giggle when I remember Ashley’s fervent desire to be “unconstipated” – an in-joke, you have to read the book to get it!An easy read which touches on some fairly heavy issues, We are all Made of Molecules will appeal to boys and girls aged 12 and over, especially those who enjoyed Wonder by R J Palacio. Giveaway now closed et voici les résultats! Douze points pour Rhi P and Angi Holden. Félicitations! Alma Books will send the books directly to you within the next few weeks…at which stage I will hopefully be gazing over the rooftops of Paris. This year Alma Books has branched out by venturing into the realm of Children’s and YA Fiction. Soon you will have the “pleasure” of reading my review of Madame Tussaud’s Apprentice, one of the frontrunners in the YA stable but, to keep you going in the meantime, I am delighted to give my UK readers the opportunity to win a copy of a new translation of The Little Prince. Targeted at ages 7-11, this edition will appeal to dreamers of all ages…if I could I would enter! Having crash-landed in the Sahara desert, a pilot comes across a young boy who introduces himself as the “Little Prince” and tells him the story of how he grew up on a tiny asteroid before travelling across the galaxies and coming to Earth. His encounters and discoveries, seen through childlike, innocent eyes, give rise to candid reflections on life and human nature.First published in 1943 and featuring the author’s own watercolour illustrations, The Little Prince has since become a classic philosophical fable for young and old, as well as a global publishing phenomenon, selling tens of millions of copies worldwide and being translated into dozens of languages. Antoine de Saint-Exupéry (1900–44) was a French writer and aviator, who disappeared on a reconnaissance mission during the Second World War. The author of several memoirs about flying, he is best remembered today for the novella The Little Prince. Barnaby Brocket is no ordinary boy as he defies the laws of gravity, floating off if he isn’t physically restrained. His parents cannot accept his differences and go to extreme lengths to keep him grounded, physically and mentally. One day, Barnaby floats away and you hope he will experience better examples of humanity once freed from the suffocating normality of his earth-bound family. Before I got the opportunity to “meet” Barnaby he was kidnapped by my two children, aged 8 and 12, and both were engaged by this extraordinary boy and equally enraged by the pompous, creativity-quashing attitudes of his parents. “He should have rung Childline” was the general viewpoint! Having received such a positive reaction from the target audience I was delighted to find my own way into Barnaby’s world. It’s whimsical, charming with a fantastical story which flows so smoothly you can’t help but be carried along. There are touches of Dahl and Walliams with quirky characters and dark humour – this feels very much like a modern children’s classic. Oliver Jeffers’ beautiful cover is the perfect complement to Boyne’s excellent storytelling – highly recommended for children age 8+. I read quite a few children’s and Young Adult novels and it’s only rarely that one of them truly fits into the “crossover” category where I can truthfully say anyone of any age will enjoy this novel. Wonder fits that niche perfectly, its deceptively simple narrative veiling a myriad of depths and insights. Wonder is mostly about August (Auggie) Pullman, a 10 year old boy with severe facial disfigurement. Auggie has already been through a multitude of painful operations but his latest experience could well be the most challenging – going to school. He’s been home-schooled up until now and sheltered from the curious and insensitive eyes of society at large but hopefully the three mentors chosen by Mr Tushman, the principal, will ease his transition. What follows, in a series of short chapters, is an account of Auggie’s experiences at Beecher Prep, narrated by Auggie himself and, in other sections, by his sister Olivia, his friend Summer, Olivia’s boyfriend Justin, her friend Miranda and Jack who was chosen to be a guide/mentor for Auggie. The language is simple but the feelings examined are complex – what does it feel like to be different in a world which has such a limited view of beauty/attractiveness? What is it like for the siblings of someone who doesn’t fit the norm? Isn’t it really difficult to tread the “middle ground” and neither ignore nor stare? Auggie represents anyone who doesn’t fit in and all our associated hang-ups when we strive to be politically correct but fail miserably. There will be those who avoid this book as it sounds like some preachy manifesto and I fully understand their reticence. Yes, there is a moral message, basically, ”When given the choice between being right or being kind, choose kind” and yes, I know it sounds didactic but this isn’t Mitch Albom territory and there is no deliberate pulling on the heartstrings or straying into schmaltz. Having said that, we could all learn something by having this little peek into Auggie’s life, and perhaps adult readers have the most to learn from it. 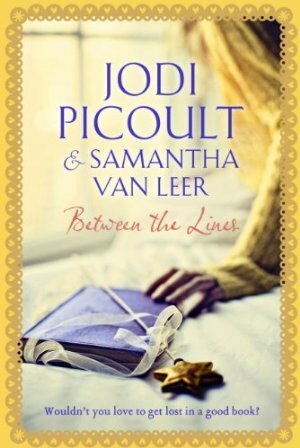 I was intrigued when I first heard about Between the Lines, a collaboration between Jodi Picoult and her sixteen year old daughter, Samantha, aimed at a younger audience. Equally attractive was the idea of fictional characters coming to life, a theme which I loved in Cornelia Funke’s Inkheart trilogy and Jasper Fforde’s madcap Thursday Next series. I was also keen to see if this would be good enough to join the likes of Cornelia Funke, Sally Gardner and Michelle Harrison and other great writers on my ever expanding TBR pile of future reads for my daughter. This is quite a light-hearted read with touches of humour along the way. Fifteen year old Delilah is not a typical teenager and her efforts to fit in with her peers usually end up in disaster. Instead of dating in real life, she spends her time immersed in reading her favourite fairy tale, wishing and hoping that she could meet someone just like the fictional hero, Prince Oliver. Well, in this case, wishes do come true but if only the “happily ever after” was as easily attainable – the barrier between fiction and reality is thicker than paper and Delilah has the difficult task of convincing her mother that she isn’t certifiable when she stays cocooned in her room, talking to fictional characters. Jodi Picoult’s trademark style of multiple narration is at play here with three separate narrative strands each in a different font, Delilah’s story, Oliver’s story and the actual text of the fairytale, Between the Lines. The pencil and silhouette illustrations are exquisite and really complement the whole notion of stories as living, breathing entities with characters climbing up the margins and objects made of actual words. This is a clever, wholesome romance probably best suited for the pre-teen reader as older readers might prefer a bit more bite (not always of the vampire sort!) to their reading consumption. Not as dark as the Inkheart trilogy, it will appeal to fans of The Princess Bride and The Neverending Story. One could be forgiven for thinking that a dystopian setting is compulsory for all YA novels being published at the moment and with the huge success of The Hunger Games both in print and on screen, this is one trend which is staying put. Gemma Malley has already proven her worth in this genre with her excellent Declaration trilogy and she continues to demonstrate her impressive storytelling skills in this, the first of a new trilogy. I must admit that I was quite worried that this new series would seem too samey and fail to stand out amongst the plethora of other dystopian reads on the market but what makes it shine is its quiet, understated nature – thank goodness there are writers who realise it doesn’t have to be all singing, all dancing, all flailing limbs to attract the reader’s attention, sometimes less is more. Our “new world” is The City whose citizens are graded from A to D and (shock, horror!) sometimes K depending on their good citizenship and obedience of the rules established by the System. The head honcho is the omniscient, omnipresent Brother who seems to have your best interests at heart – you really don’t want to end up outside the City gates at the mercy of the Evils, an allegedly subhuman species. There is an intriguing love triangle involving our three main protagonists, Evie, Raffy and his “much” older brother, Lucas. I liked the fact that none of these characters are particularly likeable and you feel like shaking some sense into them most of the time – it’s a trilogy after all, they have time to evolve and change, hopefully for the better! I also loved the semi-scientific slant on the new Society where all the good citizens have had their amygdala, the ”evil” part of their brain, removed – all done to deliver themselves from evil of course. Like all first books in a series, a large portion of the novel has to be devoted to world-building but the author has succeeded in also building characters and a plot which engage the reader and will make you want to read on. If you’re aged over 13 and you like your dystopian fiction restrained, intelligent and thought-provoking then this is your next stop. Sixteen year old Shelley and her mum have been born with the victim gene – Shelley has been on the receiving end of an intensive, malevolent bullying campaign by former girlfriends and her mum has been through a difficult divorce with Shelley’s dad finding a younger, fresher partner. They are quite simply “mice”, meek little creatures scuttling around not making much impression on the outside world so they retreat to the safe tranquillity of Honeysuckle Cottage, far from the madding crowd. In their secluded bolt-hole, they should be safe and sound, Shelley preparing for her exams and her mum trying to keep their heads above water in a low paid job well below her abilities and qualifications. However, change comes knocking at the door or rather, sneaking in a window, when an unwanted visitor shows up disturbing the nest – will the mice show their teeth when faced with adversity or will they squeak and beat a hasty retreat? I found this a gripping, unputdownable read, one which I devoured in one sitting as I just had to find out what fate had in store for Shelley and her mother. The first part of the novel is quite slow paced but nonetheless riveting, as we see the build up of the bullying campaign against Shelley – you really feel for her as she is turned upon by her once close friends. There is a brief period of calm with the removal to Honeysuckle Cottage but you just know that something is lurking, something which will break the short-lived spell of serenity and the tension is palpable. What ensues might be disturbing for sensitive readers so I would recommend this for the older, more mature end of the YA market. Some of the events might seem a bit far-fetched but this is a piece of entertaining, fast paced fiction and not a treatise on How To Be Good. An exciting, thought provoking read – it will raise lots of interesting questions about how far we would go to survive and to what extent the end justifies the means – food for thought indeed. I’m almost ashamed to say that before reading this I had never even heard of Elizabeth Laird but an examination of her back catalogue has revealed a veritable Aladdin’s Cave of children’s literature – much to add to the never-ending wishlist both for my children and I. She has certainly had a full and varied life, working and travelling in many different parts of the world – a multicultural cornucopia which she has drawn upon to produce a range of intelligently written novels for young people. Based on a true story, our narrator is the young Prince Alamayu, son of Emperor Theodore of Abyssinia (now known as Ethiopia). He tells his story as he lies on his sickbed during his time as a student at Rugby, via a series of flashbacks to his early childhood. What follows is a detailed, interesting tale of an exotic lifestyle brought to a sudden end by the death of his father at the hands of Queen Victoria’s troops in 1868. Torn from his native country, he is brought up and educated as a typical English gentleman but he finds it hard to fit in with his peers. This is an engaging, poignant tale of a proud young royal striving to adapt to extreme changes in circumstances. Laird captures the turmoil of a young boy caught between two worlds, slowly forgetting his Ethiopian heritage yet not quite achieving the status of a perfect young gentleman despite his associations with Queen Victoria herself. Reading this has encouraged me to find out more about this particular part of history – what a bonus if it could incite the same curiosity in younger readers. Off now to check out Elizabeth’s previous novels – Kiss The Dust and A Little Piece of Ground are particularly catching my eye. To be completely truthful, I didn’t expect much of Itch, falling prey to prejudices about celebrities turning their hand to writing but I thoroughly enjoyed this entertaining adventure story. Fourteen year old Itchingham Lofte (what a fabulous name! )is science mad and has a tendency to blow up things as a hobby – that explains the missing eyebrows then… He’s determined to collect all the elements of the periodic table and he has used an array of ingenious methods to pursue his scientific quest. Alienated from most of his classmates, he hangs out with his cousin Jack (Jacqueline) and his younger sister, Chloe, both of whom have endless reserves of patience – an essential trait when dealing with the unpredictable and unconventional Itch. When a previously undiscovered element ends up in Itch’s hands, all hell breaks loose as both good and evil factions strive to obtain this extremely powerful substance. 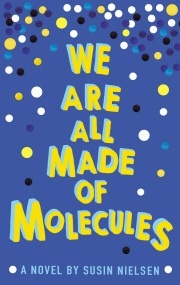 This is an extremely impressive action-packed debut and ideal for any young person with even a slight interest in science. Itch isn’t a typical young hero – he’s not into being the alpha-male, gung-ho type reinacting Call of Duty – he’s a charming, loveable nerd whose scientific escapades thoroughly engage the reader. Itch appealed to the slightly nerdish side of my personality and Chemistry continues to fascinate me even though I took a more literary route post-16. I think a lot of 11+ boys and girls will identify with and be charmed by Itch – looking forward to reading more of this series. Publisher: Frances Lincoln Children’s Books (3 May 2012) I was initially attracted to this YA novel as I used to teach French to a wide variety of pupils from top stream to those who faced severe behavioural and emotional challenges on a daily basis. I was keen to see how an author would recreate the voice of a youth who struggles to fit into “mainstream” education and I think he’s got it spot on. The novel takes the form of a journal/diary written by young Jason who has the opportunity to move onto a mainstream school if he’s on his best behaviour but as we gradually discover, it’s rather hard not to LOSE IT when his mum looks like she might go back on drugs, when he is continually riled by his classmates, when he has to listen to the platitudes of the teachers. At first he treats the diary project as some sort of joke, a way of fooling his teacher, Pete, into thinking he’s actually doing some work but gradually he puts down in words the truth about his home situation…but the diary is confidential so how can anyone else help? As well as gaining insight into Jason’s home life we also see life in school, warts and all with the tiniest slight sending some pupils over the edge. One scene reminded me of the time a chair was thrown in my direction…but I had the good sense to duck! I have so much admiration for teachers who can draw on infinite amounts of patience and creativity to help disadvantaged and disaffected children and are happy to see progress on a day by day, hour by hour, minute by minute scale rather than throwing in the towel. I think the author does an excellent job of representing the work done by such professionals. 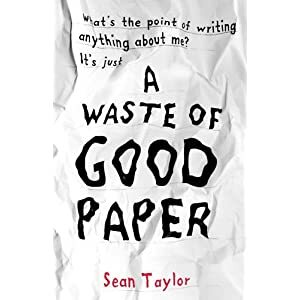 This is a very honest portrayal of one boy’s life, with a fair injection of humour too – well worth reading and recommended for both young teens and adults in need of a hefty dose of empathy.